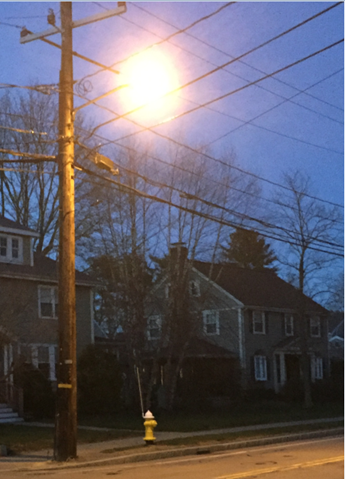 In May of 2017, Needham DPW held an LED Streetlight Pilot Program seeking resident feedback. Three streets displayed three different varieties of LED lights and one street (the control) displayed one style of high pressure sodium lights. Residents were asked to visit all four streets and indicate their lighting preference through an online survey. This survey ran from May - August 2017, results were then publicized. 54 residents responded to the LED Pilot Program Survey. Pinewood Road appeared to be a clear favorite due to the feel of light, based on the fixture. Based upon survey results and meetings with the Select Board. Residents reached out to the Board for light fixture input. The Board and the residents expressed a preference to install the lowest kelvin light fixture that is safe and available. 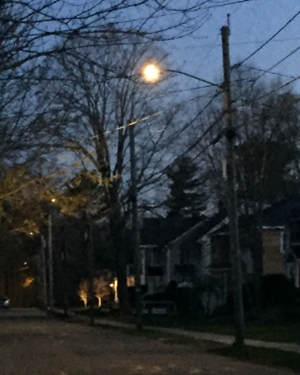 In addition, Wellesley, MA, currently has the same brand and temperature of streetlights throughout their town.